My wife and I have a lot of conversations about work-life balance, or as I call it, making sure I don’t use up too many “spouse points.” Many early stage companies don’t have these issues top of mind because so many founders enter the business world pre-children. As a manager, I’ve always tried to maintain a culture of understanding people’s personal needs, like childcare obligations. Researchers from Stanford, the University of Munich and the London School of Economics found that well-managed companies adopt family-friendly work policies more often than less well-managed companies. 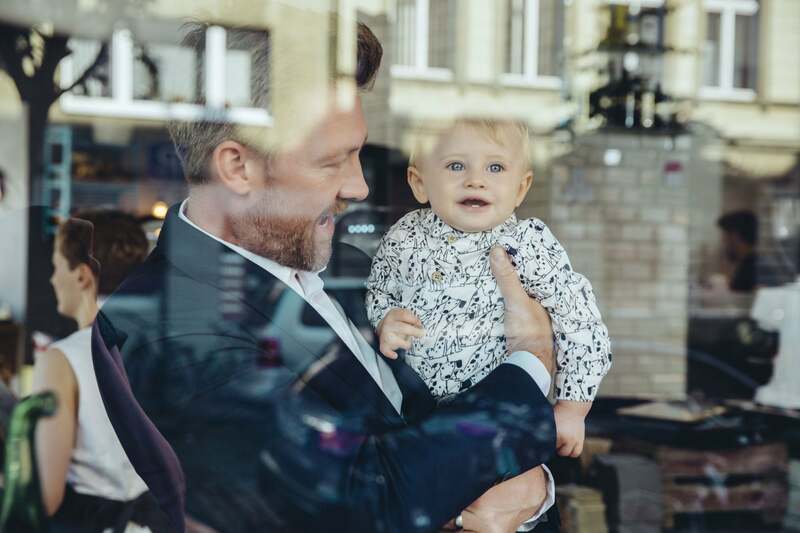 I think creating a family-friendly culture is important for men just as much as women, but in practice, mothers tend to bear a disproportionate burden of childcare responsibilities, thus they pay more attention to these issues. A recruiter friend of mine says when he reviews men’s resumes, he sees that they move around in various roles every few years — some horizontal, some diagonal. Woman, on the other hand, often stay in the same role much longer and their career development is more linear. My wife, who works for a large investment bank, immediately agreed with this observation. Those with children need flexible work arrangements more than the kidless, which makes them conservative with regard to job changes. The typical process is to earn the trust of managers, then figure out a work setup that meshes with a working parent’s personal schedule. Once set up, they don’t want to risk moving to a new situation which may be less accommodating. The downside of a move is very clear, and the upside uncertain. This makes some working parents less likely to raise their hand for a horizontal or a diagonal move. Many employees believe their employer is just paying flex-time a lip-service. My mom friend Nancy received an offer to move to a competitive employer for a dramatic compensation increase. The offer was welcome because Nancy was very unhappy with her long hours. A mutual friend spoke with Nancy’s manager and pointed out if Nancy had a flexible schedule that would allow her to leave the office early, she would likely stay where she was. The manager was happy to step in and try to keep Nancy. Nancy and her manager agreed on a schedule that worked for them both, and she stayed. On paper, Nancy’s compensation has increased, but it’s prorated down to a lower level because she’s working reduced hours. Result: Nancy’s cash compensation is unchanged, but she’s much happier and more loyal. I suggest all managers be educated that some people at the firm are working modified schedules while getting promoted at or near the regular pace. Openness about these arrangements will reduce the stigma associated with them. People work out reduced/flex schedules with their managers and don’t talk about them with the CEO. They don’t want to send a message that they prioritize their career below their family. No wonder working parents feel stuck once they work out an arrangement that works for them. Flextime workers should be out of the closet. I use the “closet” metaphor deliberately; openness increases acceptance. I think it’s similar, but far easier, than managing people offshore. It requires clarity in communicating priorities, time-requirements, deliverable formats and a necessary level of detail. The firm should make it easier for people with non-standard schedules to get diverse experience by allowing them to transfer these arrangements to other internal opportunities where possible and helping them make these arrangements work. It goes without saying that the promotions should also be blind to hours worked, and instead based exclusively on how much value the employee is adding. Consistently working long hours should be considered a sign of inefficiency, poor time management and propensity to burnout — not a necessary credential to promotion. A challenge for both women and men is maintaining some reasonable degree of fitness while balancing work and family demands. You’ll make it easier for people to work a full day by designing the office to promote fitness while working, rather than slotting in fitness as a 20-minute activity before work. For more on this, see my post on the fitness office. The typical parental leave policy says that the “primary caregiver” can have four months leave. In the vast majority of cases, that’s a woman. If dads were encouraged to take longer parenting leaves, it would help with work/life balance for both men and women. If senior men were to take a leave of one to four months, a standard set of fair practices would evolve for dealing with such situation and everyone would benefit. Historically, I have learned the most when my bosses go on vacation, and I had to fill in on the projects.